As a kid I feel that a popular answer to the age old question, “What do you want to be when you grow up?”, is fireman. Just seems so exciting and dangerous. Full of adventure and you get to drive big trucks and use big hoses. Magma Mobile realizes this and then designed a game around the idea of firemen simply called Fireman (they aren’t known for being creative with their game names). 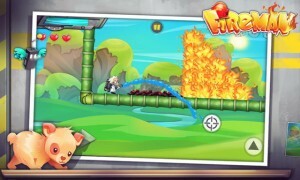 In Fireman you do as you expect; use water to fight fires and rescue cute animals from burning! 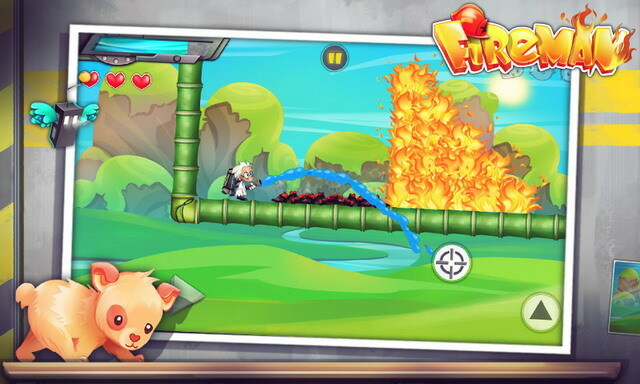 Fireman is a rather simple puzzle platformer where the goal is to rescue animals and make it to the end. Of course, along the way there are fire and fire monsters in your way. Luckily you have your water hose to extinguish all. In a way, Fireman controls kind of like Super Mario Sunshine and his FLUDD as you can use your hose as a jetpack. A few nuances add challenge to Fireman such as having a limited water supply which can be replenished by using fire hydrants and having to step on ashes so they don’t catch fire again. There are more than 50 levels in Fireman for you to pretend to be the hero you want to be. 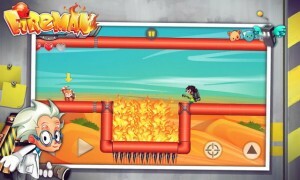 You can also upgrade your equipment using IAPs if you desire but totally optional. 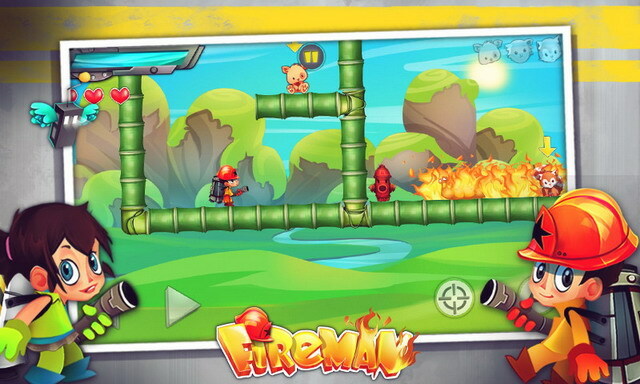 If you’re looking for a fun puzzle platformer, Fireman may be the ticket.